Turns out crab cakes are kinda easy to make. Talk about fancy…pinkies out, my friends. I hope you’re not offended by canned crab. but they were tasty, so we forgave them. They satisfied my crazy crab craving with welcome freshness from green onions, requisite old bay flavor, just enough heat from the cayenne and a satisfying panko crunch. 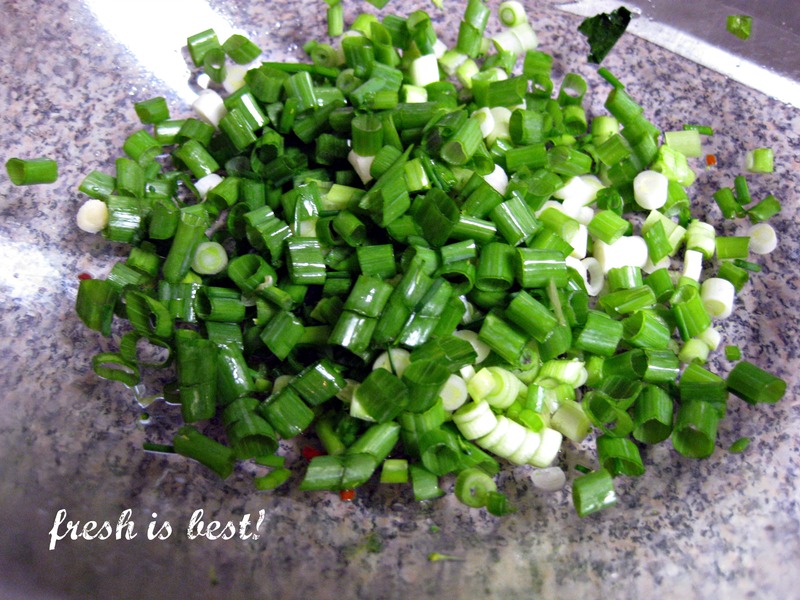 We’ll start with a bowl full of green onions which are pretty. Savor this moment because this is the last of the pretty involved in creating these delicious/hideous lumps of brown. Next up: Mayo and spices! Ok that’s still pretty I lied. Then bring on the cracker crumbles, egg and of course the crab! Patty into cakes, baker man. Then coat with panko and pan fry until they’re golden brown and delicious! Yeah. I just made a Spongebob Squarepants reference. 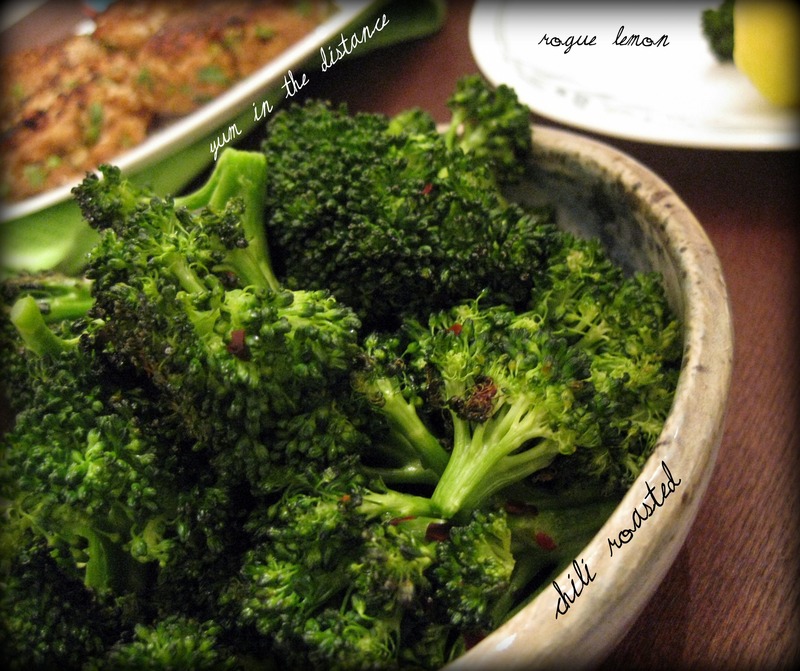 Serve em up with a drizzle of lemon, a schmear of cocktail sauce, and some chili roasted broccoli! 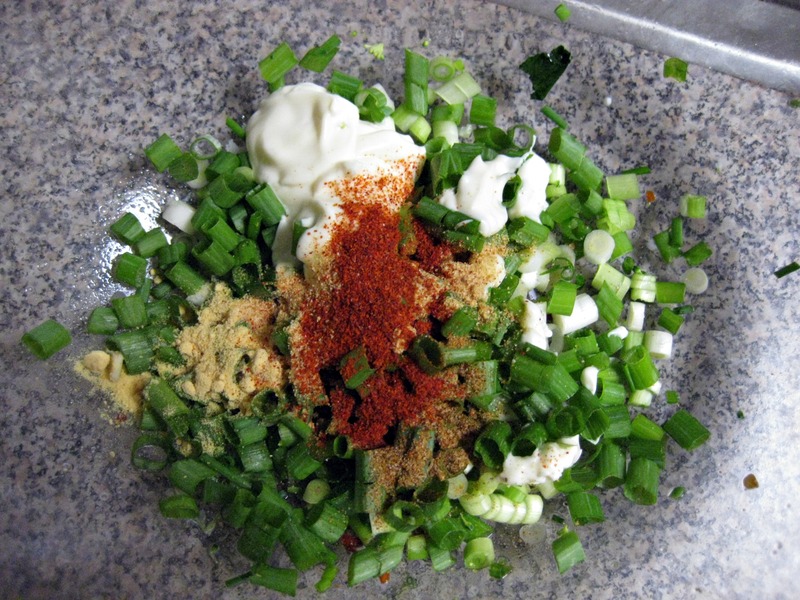 Combine crab meat, green onions, egg, mayonnaise, dry mustard, crushed crackers, cayenne pepper, garlic powder, Old Bay seasoning, salt and pepper…just throw it all in a bowl and stir. Aren’t those the best recipes!? Form into 1/2 inch thick patties. 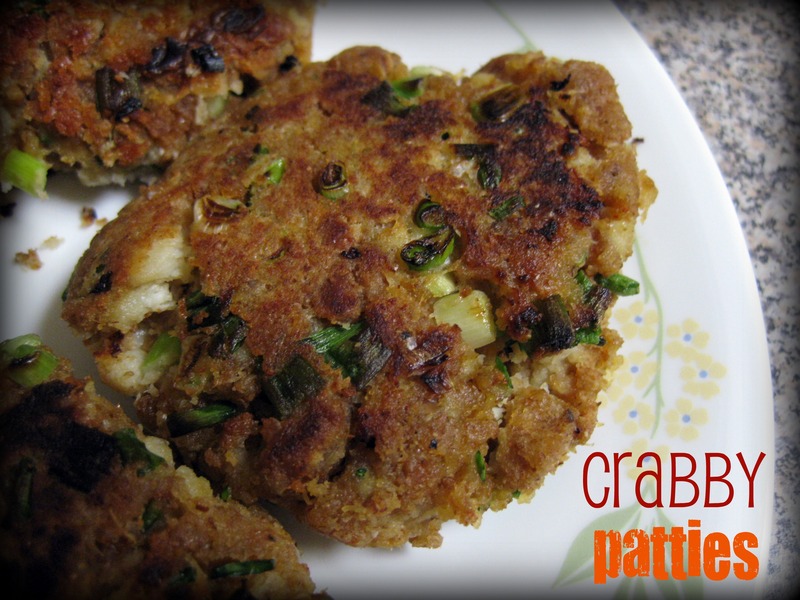 Coat the patties with panko bread crumbs. Heat oil in a skillet over medium high heat. Cook cakes until golden brown on each side. Drain briefly on paper towels and serve hot. Daniel suggested adding shrimp next time to kick up the chunk factor. The shredded crab tasted good but we did miss the chunks of crab. I think some diced red pepper would add some much needed color. Yummy! Cant wait to try this one either!